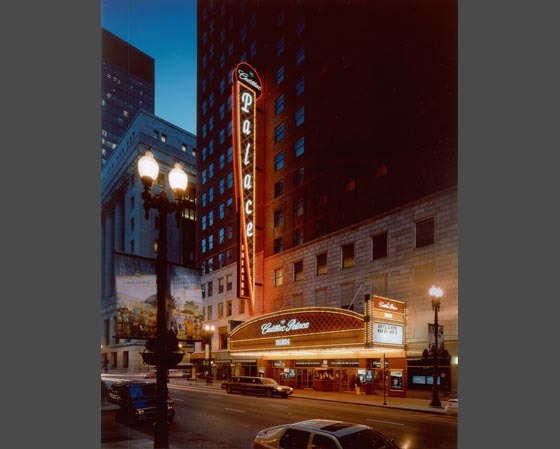 The Palace Theatre is part of mixed-use revitalization project that also contains Hotel, Offices, Retail and Restaurant functions. The facility was transformed into a state-of-the-art, 2,250-seat Theater suitable for major Broadway musicals and related live entertainment productions. The exterior of the theater was enhanced with new vertical and horizontal Marquees at the Theater. This project is the western anchor to the North Loop Theater & Entertainment District.